Those of you that would like to save a little of your hard earned cash might be interested in new electrical socket adapter called the MeWatt which has been specifically designed to provide an easy way to analyse your appliance energy usage. 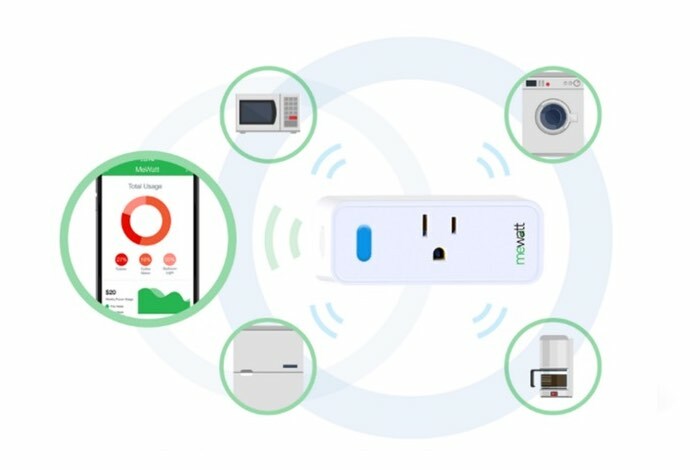 The MeWatt takes the form of a small adapter that goes between your appliance cable and the electrical socket and connects to a companion smartphone application providing you with feedback on how much energy the connected appliances used. The smartphone application will also provide you with actionable recommendations to try and save you both energy and money. Watch the video below to learn more about its functionality and design. MeWatt is a revolutionary ‘appliance to mobile’ device that provides near real-time energy monitoring and analysis of your home appliances’ energy usage. It’s simple and fast to install – just plug the MeWatt into your wall outlet, plug in your appliance, and connect the device to your home WiFi – we’ll do the rest. Your MeWatt will continuously collect and analyze the energy usage of your appliance, providing you with actionable recommendations and alerts so you can take control of your home’s energy consumption, reduce your carbon footprint, and save money. MeWatt is currently available via Kickstarter with pledges starting from just $10 to be able to get your hands on one of the adapters saving you 50 percent off the MSRP.